Champagne De Venoges hopes to create a cuvée in partnership with R&B singer Usher after he expressed a fondness for the brand. Bassetière first learnt of Usher’s interest in the brand, which is owned by Boizel Chanoine Champagne Group (BCC), France’s second largest Champagne producer, when reading Wine Spectator. 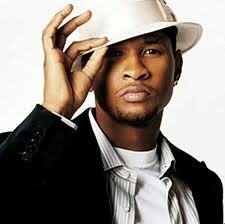 In an interview with the singer at the end of last year, Usher said he’d like to have a Champagne in his name, commenting: “Usher de Venoge would be nice”. According to Bassetière, the U Got it Bad singer discovered De Venoge due to his part-ownerhsip of The Grape, a chain of cellars and wine bars, where the Champagne was sold. The business went into receivership at the end of 2008, but Usher’s affection for De Venoges has remained.